Don't let the kids go bored these school Holidays! 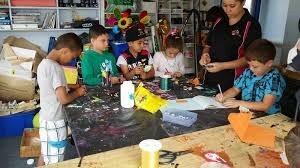 Kid Central Rotorua has an action packed School Holiday Programme that will keep your children entertained while your busy at work or having your time out. With WINZ assistance through OSCAR subsidies, Kid Central Rotorua cater to kids specific age groups which are 5-8s and 9-13s. For more info, go to the Kid Central Rotorua website and register today!